Printed from http://www.bodytalksystem.com//learn/news/article.cfm?id=851 on Apr 22, 2019. To start off with – I want to thank you all for your continued support and wish you a happy & healthy new year. The IBA is going from strength to strength and it is because of you, our Members. 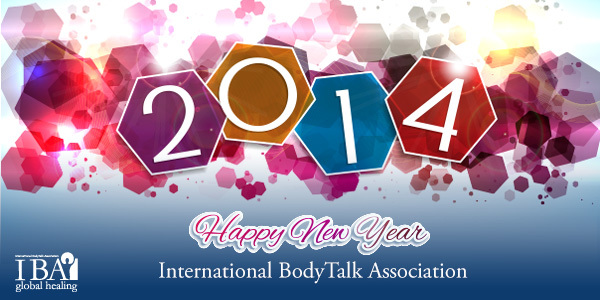 I have high hopes for 2014 and believe it will be an exciting, innovative and inspiring year for all of us. New membership services will be launched throughout the year including a number of scheduled "member weeks", where we will be focusing all our staff and resources on building membership benefits for you. I look forward to working with the new Membership Value Committee on this project. Please feel free to contact them with any ideas or thoughts. The IBA will be launching a new online campus, otherwise known as my third child. I hope you have had a chance to watch my presentation from the Members Conference in Malta, where I gave an overview and demo of the new platform. This presentation was made available for free to all members. If you haven't had a chance to watch it you can do that here. We have a number of new courses being launched in 2014 including BodyEcology, BodyTalk for Plants, Structural Integration Concepts & a series of BodyTalk Fundamental & Principle of Consiouness Study Groups. All of these classes will be streamed live around the world and recorded for online viewing. I love how technology is allowing us all to connect and learn together online. There are also many more projects on the horizon that I look forward to announcing throughout the year. On a personal note, my boy Billy is about to celebrate his 1st birthday in January and my girl Rose will be 4 in February. They are cheeky, bright and full of energy! It has been great having my wife Cass back in the office part time. She continues to inspire me, push me, and encourage me.